So one of my favorite online shopping portals Myntra.com recently launched a new brand, Dolly Sidhwani's Noble Faith. They have a nice collection of casual and party wear outfits for both men and women. 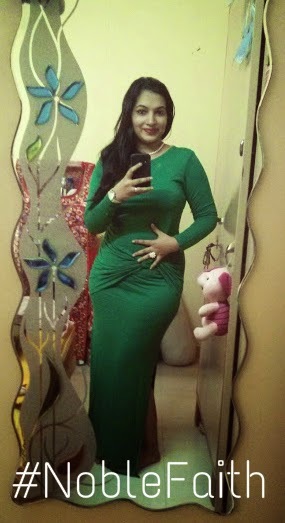 I really liked the green maxi dress (ID 540825) they have, and being the festive Christmas season, the colors red, green and white make me happy! Everyone usually goes for red for Christmas, but I thought green would be a nice change! Product details - Green knitted maxi dress, has round neck, long sleeves, layered panel on the front with gathers and a knot detail, a slit on both the sides that extend from knees to the hem. For an elegant Christmas-Eve dinner, you can pair the dress with white accessories ! I went for a pearl necklace and ring, along with a white watch. For a casual look you could even pair it with black accessories! It's all up to you! I love how this maxi is full sleeved so no need to pair it with a jacket for the winters. It is priced at Rs. 1799 and is available at a whooping 40% discount on Myntra! Woot woot! Decided to keep make-up totally minimal as I did not want to take the attention off the bright green colour. 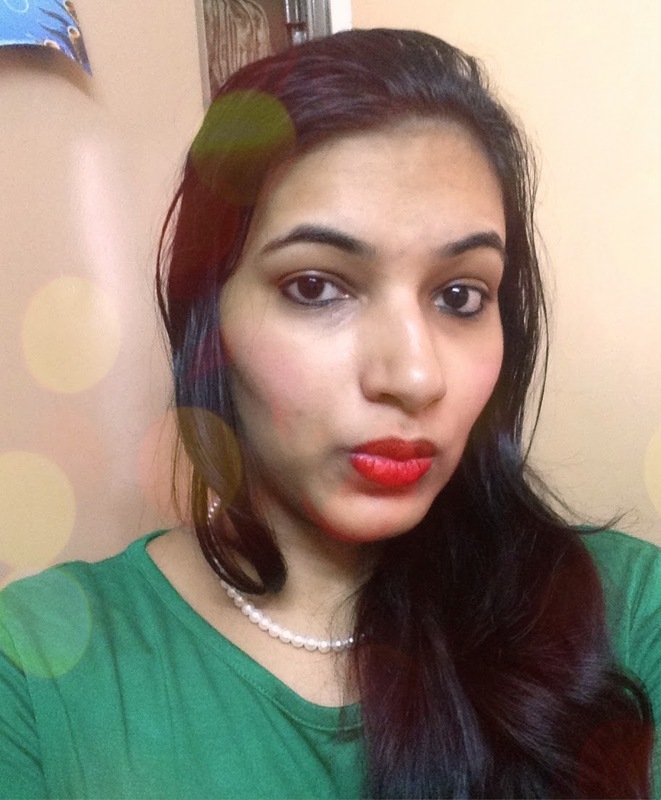 So kohl decked eyes, and a bright red lipstick and voila! And, of-course a selfie is must! 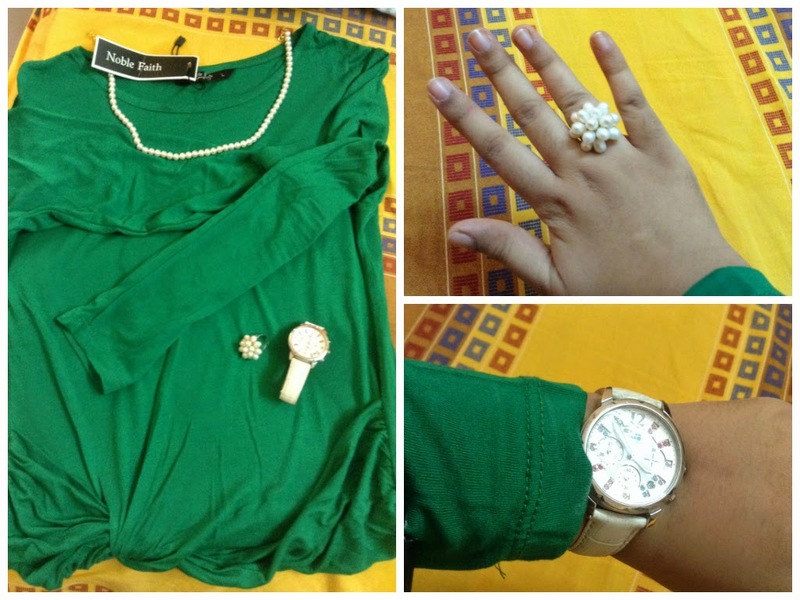 All set to rock this Christmas, only with Myntra & Noble Faith! Do check out their other maxis and jumpsuits, crop tops too!